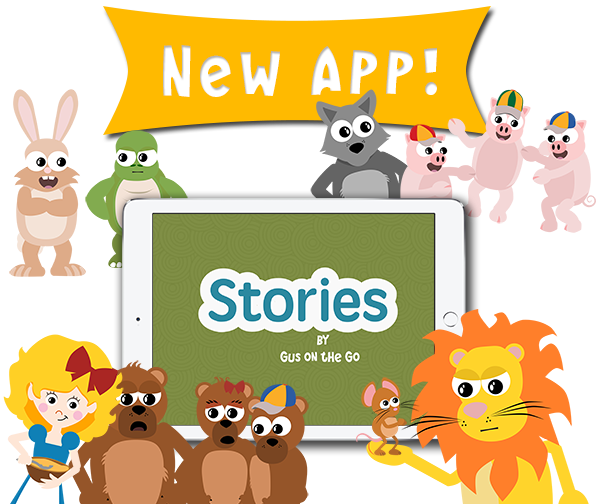 Explore Spanish for kids with Gus on the Go’s original Spanish vocabulary app and then dive right into stories in Spanish with Stories by Gus on the Go. 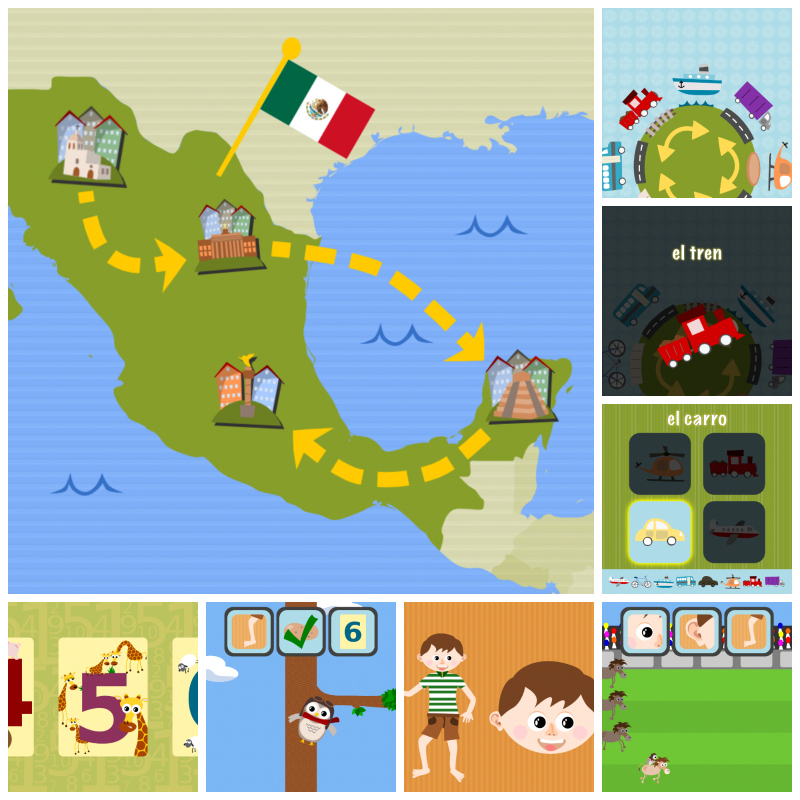 Our Spanish apps for kids give you an immersive experience from the start. animals, food, transportation, clothes, numbers and more. Our language app offers a comprehensive way of learning nearly 90 vocabulary words through interactive lessons and fun vocabulary games unlocked by completing engaging lesson reviews. 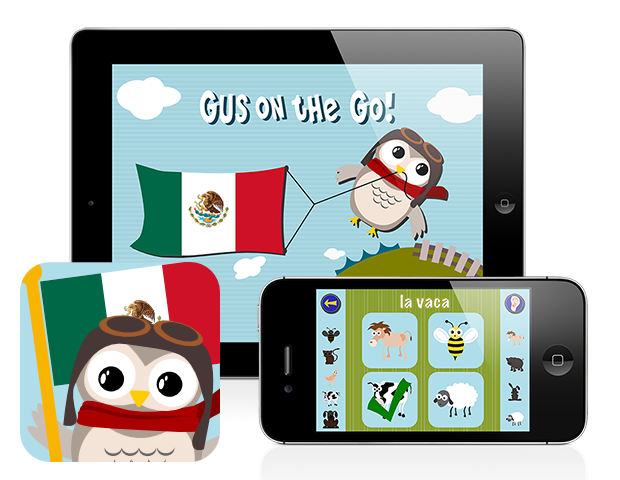 Download our language learning app on your iOS, Android or Kindle Fire start learning Spanish with Gus today! Already past basic vocabulary? Then dive deeper into the Spanish language with classic stories with a silly twist. Meet the Lion & the Mouse (El León y El Ratón) One likes to sleep, the other likes to dance. It’s up to you to make them move, in Spanish!